Just one fight into his professional career and welterweight prospect Lee Reeves is already catching the eyes of the right people. In this case, the eyes of the person the world will be watching this weekend. The Irish standout, who recently signed a promotional deal with Lee Baxter Promotions in Canada, caught the eye of lineal heavyweight champion Tyson Fury with his scintillating third round knockout victory over Benito Aburto on November 17 in Toronto. “Looks like Ireland has a new boxing star,” said Fury, who has also made stops in Canada throughout his career, defeating Zack Page in 2010 in Quebec City, and holding his training camp for his breakout victory over Steve Cunningham in the nation’s capital of Ottawa. Reeves is unquestionably one of the best Irish amateurs of his era, having collected eight Limerick championships and eight Munster championships to go along with his pair of Irish national titles. During his years as a competitive boxer, campaigning mostly as a light welterweight, he never failed to appear in the national final at year’s end. In his first professional contest, he made a seamless transition, looking like the accurate, powerful counterpuncher the scouting report promised he would be. A laser accurate left hand eventually mounted enough punishment for the referee to stop the contest in the third frame, to the delight of the raucous Irish contingent present in Toronto. 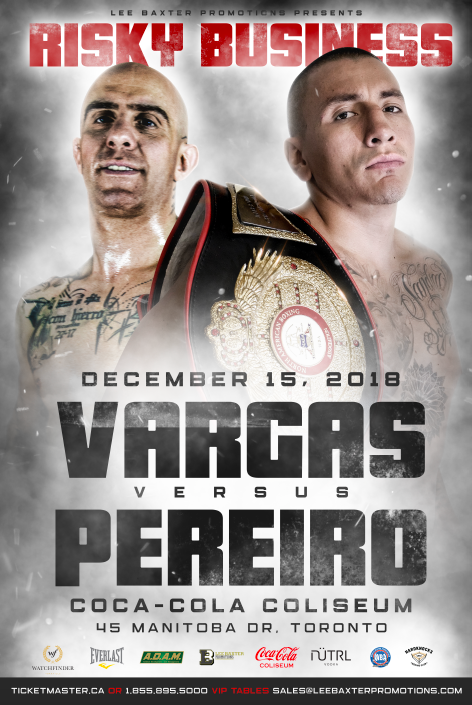 Reeves will return on the 15th on the LBP event at the Coca-Cola Coliseum, headlined by Samuel Vargas vs. Gabriel Pereiro.